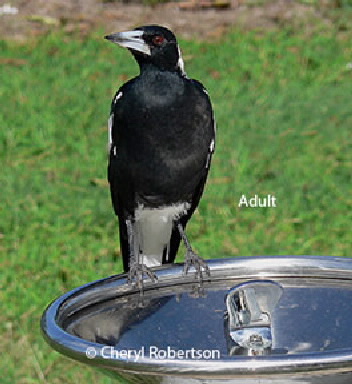 Several families of magpies are resident on campus, they occur in pairs or with one or two juveniles which are grey with white. Often heard carolling in the early morning. 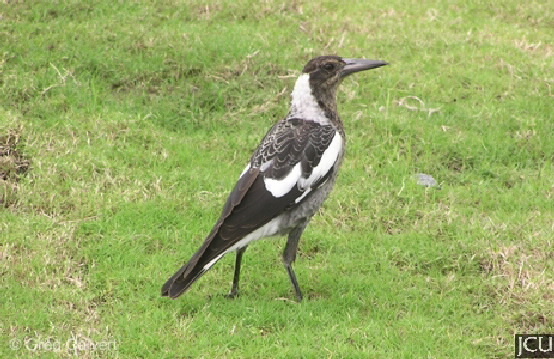 In the male the white patch on the back of the head is clean cut against the black of the body, in the female the border is blurred. There is also a white area on the wings and under the tail. A number of races and hybrids occur throughout the country. Legs and feet black, eyes brown, bill grey with black tip.